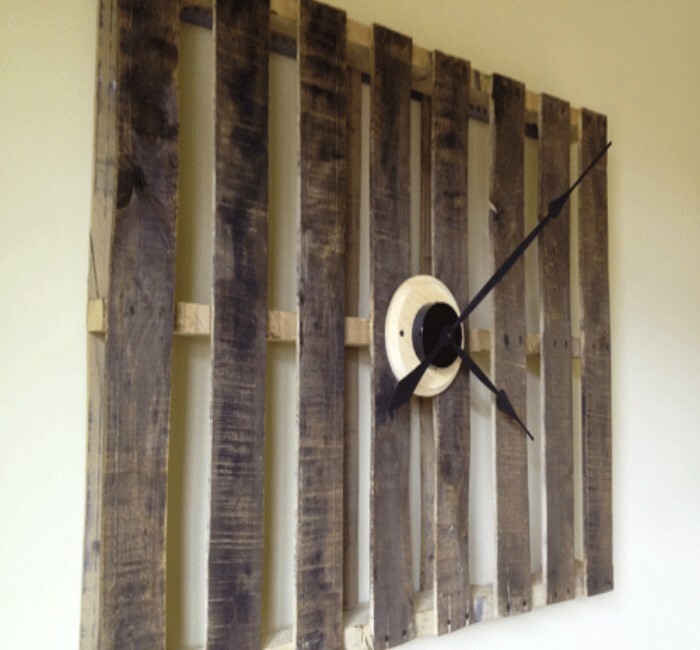 Using pallets wood is great idea to recycle and reuse such throwing material into attractive pieces of decoration and furniture. Yes! 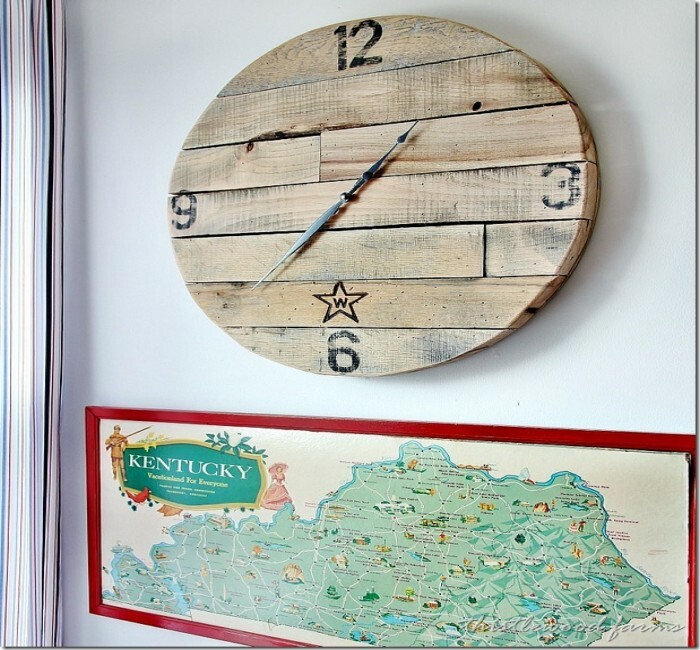 You can do handy work with pallets wood to create beautiful and rustic looking wall clocks. 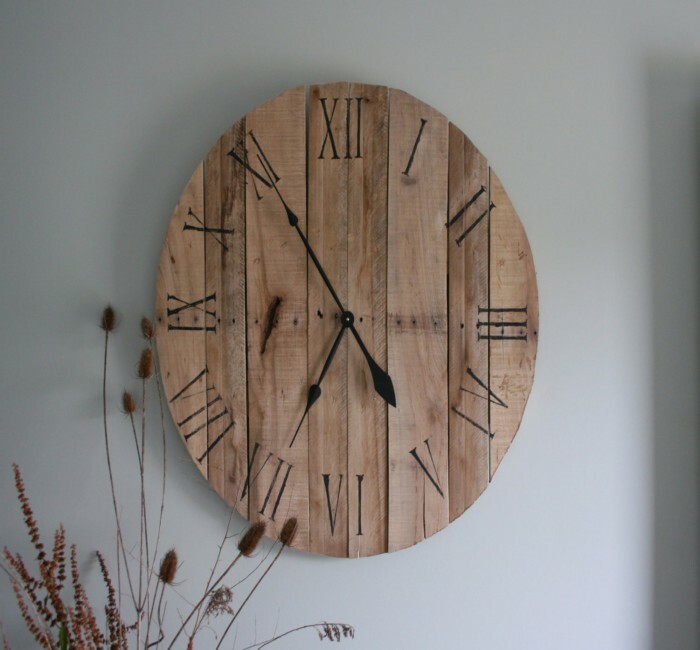 I found it amazing and never think of making such a fabulous piece of home articles with just pallets wood. 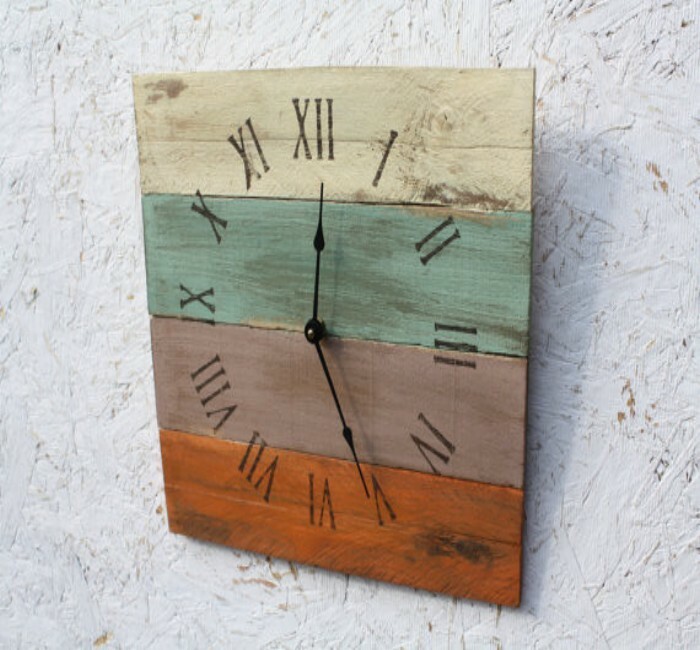 Making pallets wall clock is very easy and you can make different wall clocks of different styles and shapes. 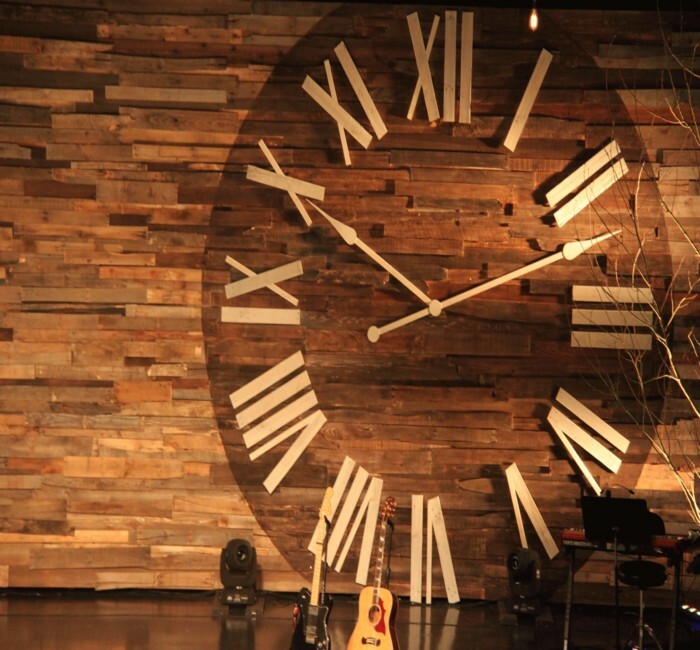 Wall clock is one of small decoration pieces that you can create assembling small pieces of pallets wood. 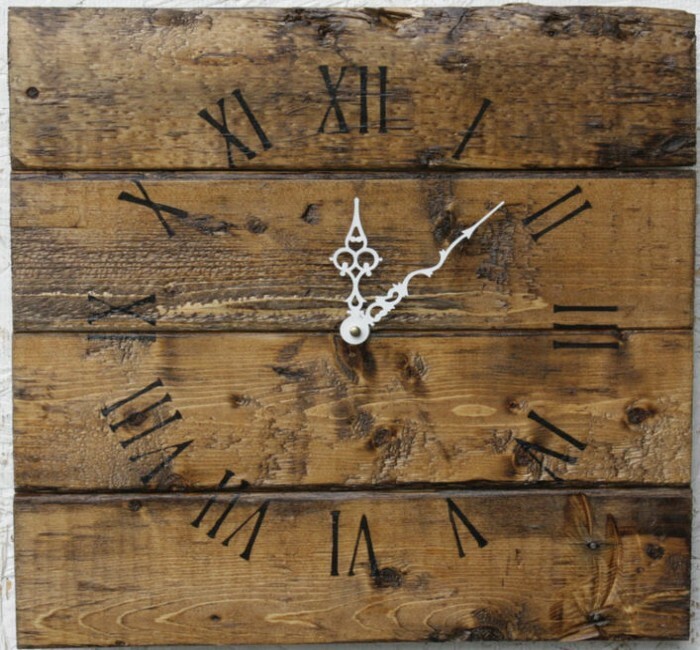 You can put bronze made numbers to put on clocks that will give rustic and attractive look to home walls. 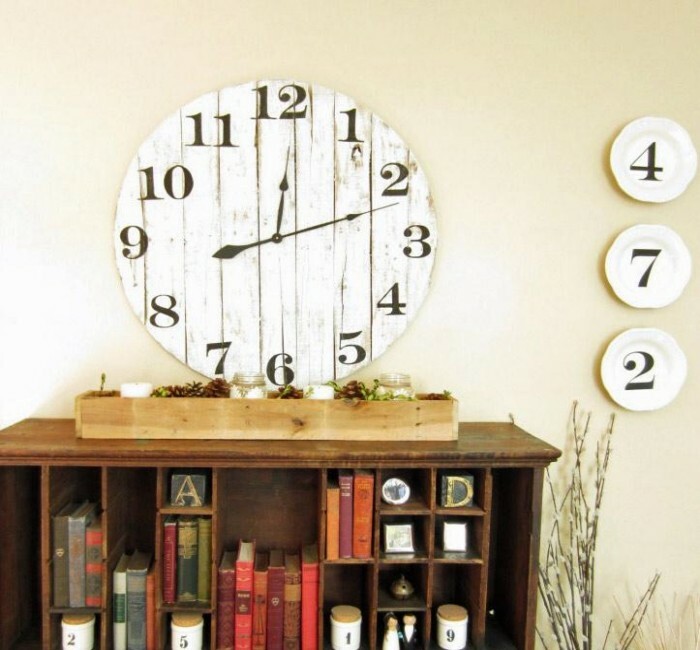 Pallets made wall clocks can be said a very nice and amazing combination of pallets wood, bronze house numbers and metal touch. 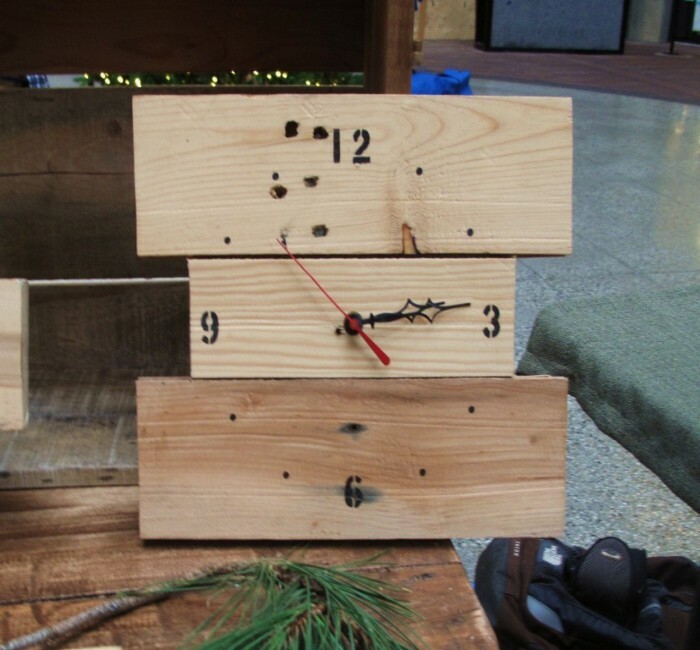 Adjusting clock arm system and tick tock system is also very convenient with pallets wood pieces.